No matter what your publishing route, it’s all good news for today’s author. The reading world is your oyster, assuming you have the tools to crack it. He knows his oysters, and he’s either built, borrowed or taught himself the tools he needs to get his words out to the world. As he says, ‘I’ve gone solo, and am still flapping my wings.’ As publishing models continue to change, he’ll have to keep flapping, and we’ll all be there with him. Justin’s wing flapping has seen him host six sell-out book-signings during 2015, including his last for the year at Dymocks George Street, Sydney (arguably Australia’s Premier Bookstore) with more event planning underway in 2016. 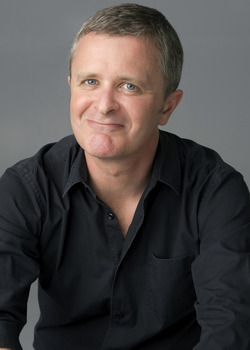 His first book, Goodbye Crackernight (2009), failed to interest publishers – it’s a memoir – yet Justin continues to secure feature spots in broadcast media, most recently on 7 News Sydney and Radio 2UE. He’s currently 60% through his fifth book, No Greater Love, Part Three of an Australian historical fiction trilogy begun in 2012 with Nor the Years Condemn, followed by Ghosts of Empire (2013). This year we thought, we wondered, we bounced ideas around – and they were bounced back a couple of times (ouch) I’ll tell you – but an idea solidified at last. Our CRUSH contribution this year would be music based. Why? Cos musos need words, don’t they. And we writers do words, don’t we. Don’t you love it when that creativity kicks in? Especially creativity spurred on by a little healthy chaos. Part one of our musical connection was a night of education and entertainment at Alowishus Delicious with Undercover Experience. We wanted to know a little about the inner workings of the musician’s mind. great crowd of frustrated lyricists. lots of gelato eaten (it was free) , and dinners enjoyed. lyricists got to chat with musos. Our band decided to come to the Workshop, on Sunday 5. The experience was loud. Then it was bluesy. Then it was improv around some poems clutched in hot sweaty trepidatious hands of writers club members. To Tracey (who opened Alowishus up to us and got behind the idea), to Undercover Experience (who really caught onto the idea of being playful) and to our President, Jen (who did a great job of shepherding) a great big sloppy thanks from us all. More about the Workshop on Sunday soon, but of course the Lyrics Competition doesn’t close until Oct 17. Register your entry now.